1933 Rhode Island inspection sticker - $20.00 : Bob Hoyts Classic Inspection Stickers, Add a Final Touch to your Restoration! 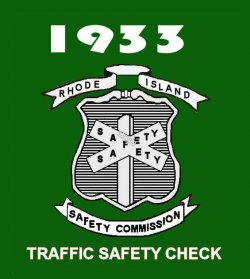 The first Rhode Island Inspections were probably started in 1933. This is the earliest known RI sticker. It was restored and reproduced identical to the original both front and back.